Ultrasonic mole repeller battery powered. Get rid of moles and other ground rodents with sound instead of poisons. 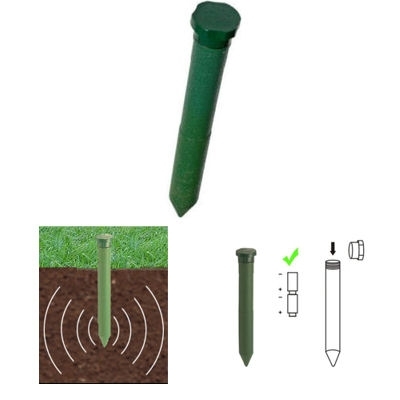 Our advanced high quality ultrasonic mole repeller emits an intermittent combination of underground sound and vibration that moles and other burrowing rodents cant stand. Simply insert batteries into plastic tube, and push into the ground - moles clear out fast. Safe on pets and children. Sound cannot be heard by humans. The environmentally way to get rid of moles, voles and other ground rodents from your garden lawn.